Expand Projekts' Skatepark - Match Funded Project! Changing lives through skateboarding. Transforming disused urban space into the UK's #1 community-led skatepark. For the first time in Projekts’ history, we are about to launch a Community Share Offer (CSO) – a chance for you to invest directly into building one of the most exciting skateparks in the UK and shaping the identity and history of Manchester. The Booster Scheme has awarded one-to-one match funding for Phase 3! This means that every pound invested by you will be matched by them up to a value of £100,000! Amazing! 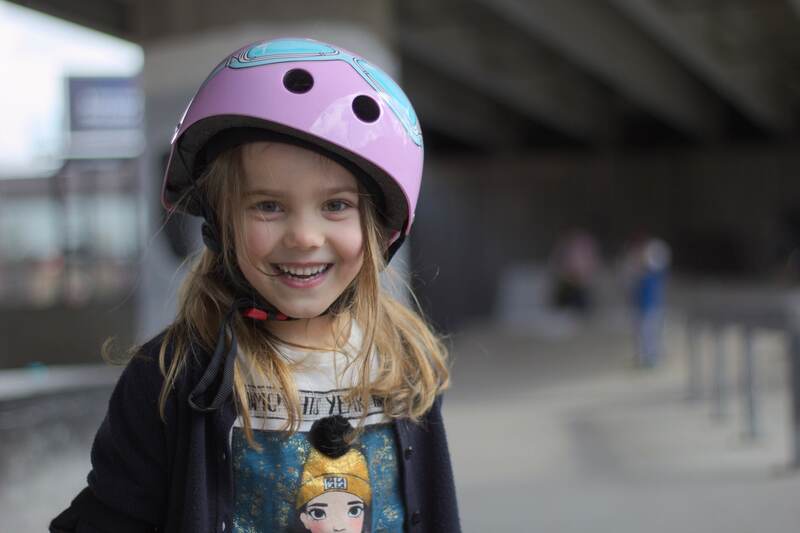 For over five years we have seen skatepark attendance shoot up, we’ve created female-only classes, adults’ classes and reached over 3000 children a year through skateboard coaching classes. But in order to continue helping more people, we need to expand our skatepark and everything is in place to begin this fantastic project. Increase capacity for all users, all abilities and all activity types. Our ambition is to raise £50,000 to £200,000 of investment through the Community Share Offer. The increased space will reduce overheads by replacing the costly wooden skatepark with the more robust concrete surface. The increased capacity will generate more income through entrance fees, parties, events and coaching classes anchoring our potential for growth. The viewing area will allow parents to see their children across the whole skatepark, enhancing security and safety for all participants. There are also clear benefits to the investor. This project is eligible for Social Investment Tax Relief (SITR) which means investors can reduce their income tax by 30% of the value of their investment, e.g. an investment of £1,000 could take off £300 from the investor’s income tax. We plan to offer investors 4% interest on their investment each year after Year 3 and the investment is withdrawable after three years (see Share Offer document for full terms and conditions). Projekts MCR Limited was established in 2004. 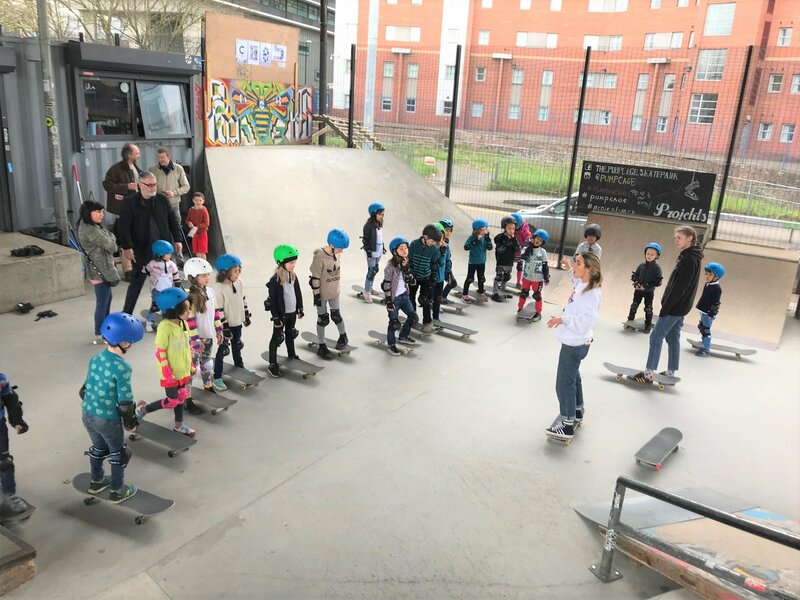 We are a not-for-profit Co-operative and Community Benefit Society with the aim of developing people and places through skateboarding and other skatepark activities. We are focussed on making skateboarding accessible to under-represented groups, particularly people living in areas of high deprivation, girls and women and people with disabilities. We do this primarily through our coaching work in schools and at our skatepark. 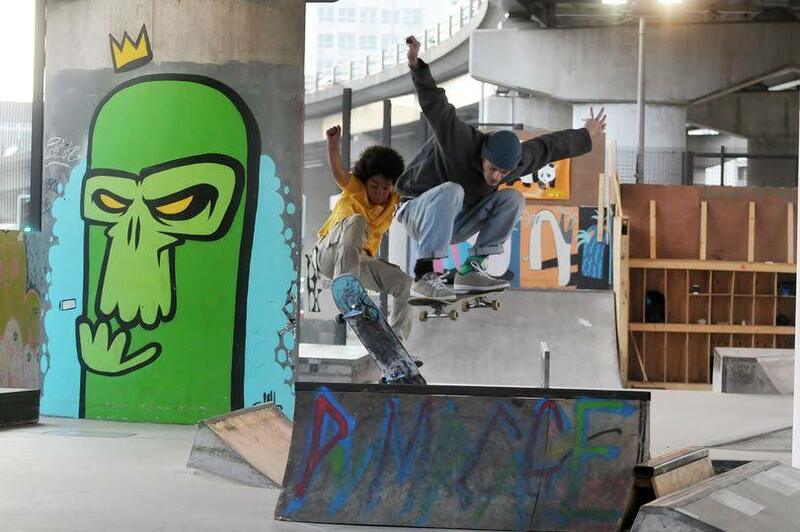 Over the last 14 years Projekts MCR has used skateboarding to enrich the lives of over 20,000 people, mainly children and young people, living in and around Manchester. 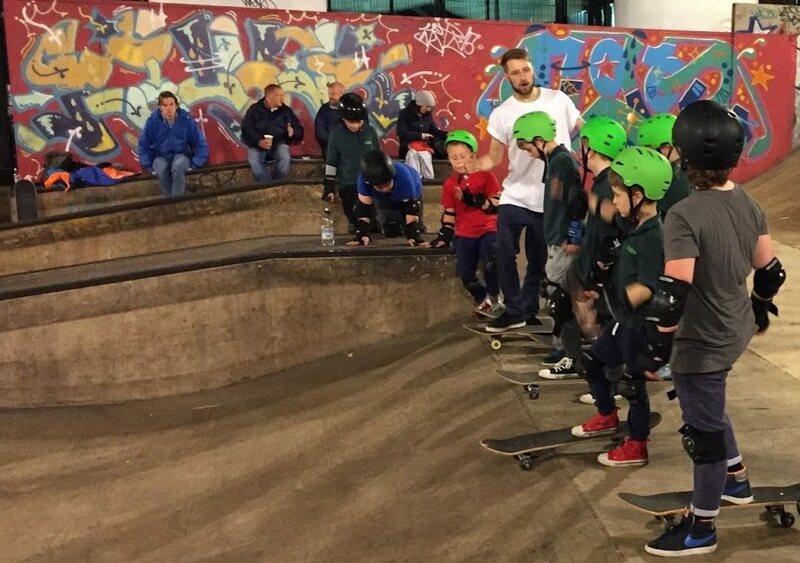 The skatepark sees over 18,000 visits a year and Projekts delivers over 20 coaching sessions a week to schools and youth related groups in Greater Manchester. 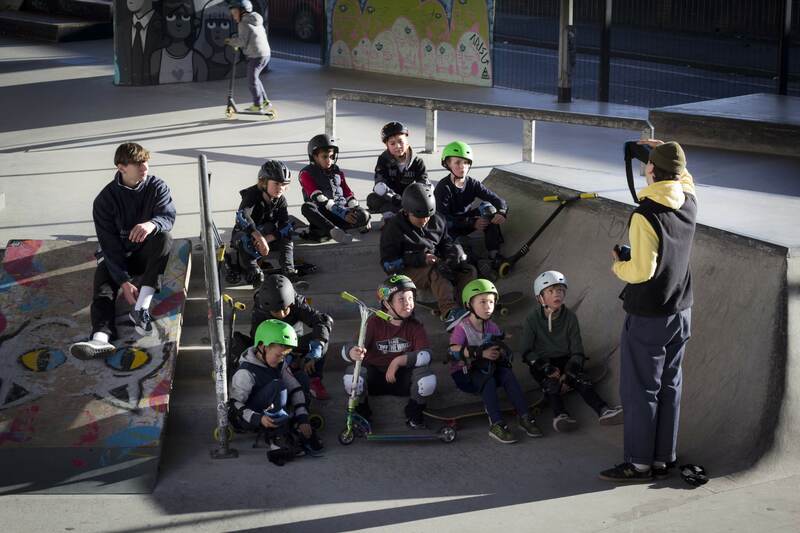 Projekts’ aspiration over the next 12 months is to expand ramp capacity by 75%, allowing the Projekts team to work with up to 10,000 more young people each year. The expansion will also increase the capacity for group and individual skateboarding lessons, birthday parties and private hire as well as allowing hire of the site by other community organisations and for expansion of our youth work and educational programmes. Projekts MCR is seeking to raise a maximum of £200,000 towards this capacity building project which has a total projected cost of £600,000. The maximum amount subscribers are invited to invest will be £20,000 and the minimum will be £100. Within a 2-mile radius of Projekts Skatepark there are 8 council wards that fall within the 10% most deprived in England: Collyhurst, Miles Platting, Bradford, Ancoats, Ardwick, Longsight, Moss Side and Hulme. The growth in attendance from people living within this radius has continued to grow over the last four years and is the result of our outreach work in primary schools in this area. We also work extensively with hard-to-reach groups such as children excluded from mainstream education and women and girls who are at risk of disengagement from physical activity. Phase 3 will enable us to increase our outreach work with the local community, offering more educational, health and well-being and youth work programmes utilising the new more flexible skate and meeting space. We also want to use our new space to provide community services such as breakfast and after school clubs, benefits support and work club. Our business model relies on the support of the local community, including the work of volunteers to run our programmes, raise funding, help maintain the site and provide the artwork that contributes to the unique atmosphere of the park and makes it an attractive place for photoshoots and video producers. The skatepark community is active and supportive and we believe there is a relationship where the skatepark provides a safe and welcoming space for the community and the community makes the skatepark a vibrant, fun and supportive environment in which its members flourish. We see this Community Share Offering as another opportunity for the skatepark community to come together to invest in helping Projekts MCR to extend its reach and fulfil its potential. The skatepark is currently financially sustainable, covering its costs. However, this project aims to enhance the long-term financial sustainability of Projekts MCR in a number of ways. Replacing and repairing the wooden skate surfaces requires that we close one side of the park on a regular basis, which has an impact on our profitability. Replacing the wood with concrete will allow Projekts MCR to utilise the space we have available more efficiently. Additionally, the new design will increase capacity which increases income with minimal extra expenditure as the park is currently running at capacity and there is evidence of demand that we are currently unable to meet. There will also be the potential for offering new programmes and services through the use of the new meeting space and café which will add new revenue streams to the park. The project will involve the replacement of the current wooden skatepark area with a new concrete area which will provide environmental benefits as the current wooden surfaces need to be replaced every year due to wear and tear whereas concrete surfaces require minimal repair over decades. This will allow us to dramatically reduce the waste produced by the skatepark and cut down our carbon emissions. John Haines was a founding member of Projekts MCR and was appointed CEO of Projekts MCR in 2012. Since taking on the role, John has successfully led Projekts MCR through the transition from reliance on local authority financial support to a 100% trading model. He achieved this by pioneering capacity building programmes including facility expansion, coaching, education and people development programmes in schools, leading to significant growth in skatepark attendance from 6,000 to 20,000 annual visits. Lorna Haines is a Chartered Accountant. She qualified in 2005 with Deloitte & Touche and she now works at Projekts overseeing the financial management of the organisation. Gary Oulds has been Chairman of Projekts MCR since 2013 and brings a range of board level experience. Gary has extensive operations and business development background, generating over £20m in funding for drug and alcohol rehabilitation services. He is a qualified social worker with 30 years’ experience in senior operations management across health and social care in both public and voluntary sectors. An artist and lifelong skateboarder who's been involved with Projekts since 2004. In his role as Gallery manager he has curated many successful art exhibitions and originally conceived the skateboard coaching program. A vital connection between the customers and the directorship; in addition to his volunteer work on the board, he still works for Projekts MCR part time as skateboard coaching/park supervisor. Owen Roberts has been skateboarding for more than 30 years and a trustee of Projekts MCR for the past four years. Owen is passionate about the positive change that skateboarding can bring to individuals and their community and loves working as part of the Projekts team to make this happen. Outside of skateboarding Owen is a Managing Director of a company based in Manchester and a father to three children. He is advising on the design of the re-development. James Kirkland is a born again skateboarder, coming to the sport later on in life (45) by being his Skate Coach son's first student. He firmly believes that you can teach an old dog new tricks, it just takes a bit more time and copious amounts of Radox and Nurofen. When not working on his board skills, James has had a 20 year career in Software, and is currently his firms Client Director for a number of pan European Technology Alliances. Elizabeth joined the board of Projekts MCR in 2017. She has been a practising solicitor for nearly forty years with experience in both the private and public sectors. She has been a director of two companies responsible for delivering the Building Schools for the Future Programme and a company secretary for Ellenroad Engine House Museum Trust Ltd. Elizabeth acted as a trustee for a charitable trust running the Eden Cafe a youth cafe in Leigh and is currently a member of the Boothstown Village Hall management committee. Her legal expertise has proved useful in facilitating positive outcomes for the organisations with which she has been involved. Matthew Wilson, BA, MA, MSc, FRSA. Matt has over two decades of experience in the charity sector and during his career has been involved in a wide range of initiatives particularly in the arena of young people, education, employability and enterprise. He holds Masters Degrees from the Business School at Salford University and from the School of Public Policy at King’s College London. He is an active fellow of the RSA. Community shares are withdrawable shares that cannot be sold, traded or transferred between Members, unlike shares in a typical company. All Members are entitled to one vote – regardless of how many shares they hold. Projekts plan to pay 4% interest on shares from 3 years after investment (the end of the Community Share Offering), and also from 3 years members may withdraw their shares and realise their capital subject to the financial performance of the society and Board discretion. Investors can also claim up to 30% Social Investment Tax Relief on their shares, provided they are eligible UK income taxpayers. Community shares are fully at risk. You could lose some or all of the money you subscribe. You have no right to compensation from the Financial Services Compensation Scheme, nor any right of complaint to the Financial Ombudsman Service. Please read the share offer document and business plan below in detail before purchasing shares in Projekts MCR and take financial advice if necessary. Invest £500 - £2,499 and receive a coaching session for yourself or someone you nominate and a free limited-edition Projekts-branded T-shirt and hoodie. Invest £2,500 - £9,999 and receive a framed photograph of the new phase 3 park, a coaching session for yourself or someone you nominate and a free limited-edition Projekts-branded T-shirt and hoodie.